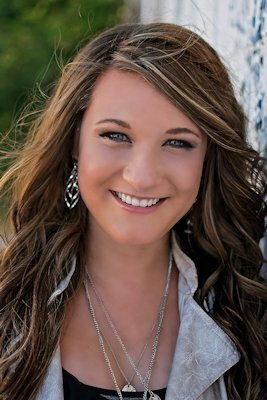 Meet West Central Senior Maddy Cooper. Maddy's dad is Scott Cooper who is employed as the Assistant Lock Master at Lock and Dam 17 in New Boston (Illinois). Her mother is Betsy "McGraw" Cooper, who is a Registered Nurse working in the "Recovery Room" at Great River Medical Center in West Burlington, Iowa. Her father's parents are Harry and Nancy Cooper. Harry passed away in 1992. Nancy later remarried Frank Brokaw in 1998. Her mother's parents are Kathleen and Robert McGraw, formerly of Gladstone, both deceased. Maddy has one brother Chris Cooper, 21, a graduate of West Central High School. Throughout her senior year, Maddy was involved in many activities. She was a cheerleader for both football and boys basketball all four years, was co-captain, played girls basketball all four years and was co-captain her senior year, and she also ran track for three years in the high jump. Maddy was active on student council for four years, currently the vice president. She is a certified lifeguard and has worked at the Oquawka Pool for two years and attends Harmony Bible Church. Maddy's future plans are to enroll in Southeastern Community College for two years to obtain her LPN and then transfer to a four year university to obtain her Bachelors of Science in Nursing. After college, she would like to be a Emergency Room nurse and would eventually like to become a Critical Care Flight Nurse. Maddy's motto for life is "Work for a cause, not applause. Live life to express, not to impress. Don't strive to make your presence noticed, just make your absence felt." Her advice to underclassmen is "Have fun in high school because those four years go by fast, but also strive to better yourself for your future. Make friends whenever you can and be involved in as much as you can because it makes your high school experience a blast! !